From the sub-tropical north to the freezing waters of the Tierra del Fuego archipelago - famously explored by Darwin and Fitzroy on the ‘Beagle’ - Argentina is a country of dramatic contrasts. Its long border with Chile stretches 3,000 miles along the Andes, dominated by Aconcagua, the highest peak in the southern hemisphere, and the magnificent glaciers and lakes of the Patagonian ice field. The mountain foothills provide ideal conditions for cultivating vines, the grapes watered by snowmelt each spring to produce some of the finest wines in the world. To the east lie the fertile plains of the Pampas, where 85% of the country’s grain is grown and gauchos herd beef cattle on vast estancias. At the heart of this rich agricultural region is Buenos Aires, ‘the Paris of South America’; a city of broad avenues, elegant shops and hotels, imposing colonial buildings and of course the sultry tango. More than a third of the population live in and around the capital, leaving the rest of the country sparsely inhabited. Whether you opt for city culture or wide open spaces (or both) you’ll find the people extremely welcoming. Argentines are descended from a vibrant mix of Spanish, Italian, Arab, Jewish and Welsh immigrants, and pride themselves on their warm hospitality and excellent service. 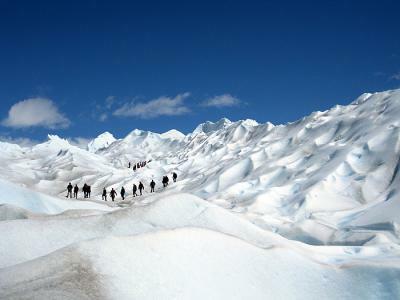 5km wide and 30km long, the Perito Moreno glacier is an incredible sight. See it from walkways, boat trips or even mini-trekking on its sculpted surface and watch as huge chunks of ice break off into the impossibly blue water below. 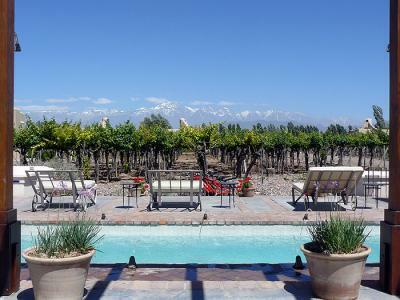 Argentina's wine capital, Mendoza, is nestled under the eastern flank of the Andes. Tree-lined avenues criss-cross the town, itself surrounded by world-famous vineyards offering tastings of the region's prime export - Malbec. A national icon, the indomitable 'gauchos' (cowboys) are fiercely proud of their culture and connection to the land, its cattle, and their horses. 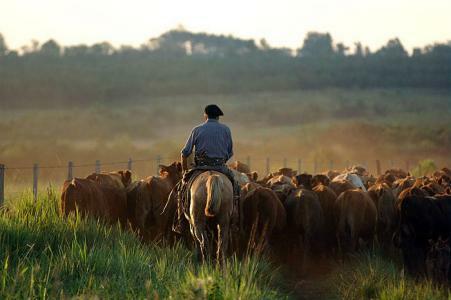 Visit a working estancia and sample this traditional way of life for yourself. With glacial lakes, verdant forests and soaring granite peaks, the Los Glaciares National Park in Argentine Patagonia is a Mecca for walkers. From day walks to multi-day treks, the serene beauty and undisturbed wildlife will not disappoint. 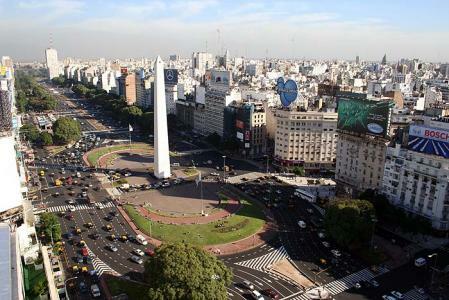 Buenos Aires is Argentina's capital and one of South America's most colourful and cosmopolitan cities. Superb restaurants, chic bars, lively markets and designer shops, BA has it all - and we haven't even mentioned tango! 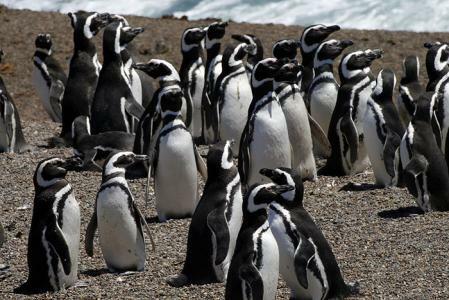 The Valdés Peninsula on Argentina's Atlantic coast is one of the best wildlife destinations in South America. Whales, penguins, sea lions, dolphins and elephant seals are just some of the creatures regularly spotted here. 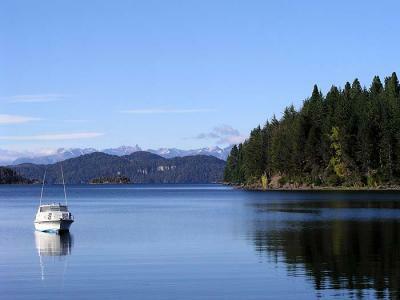 Snow-capped mountains, flowing streams and deep blue lakes, the Lake District has some of Argentina's most beautiful scenery. 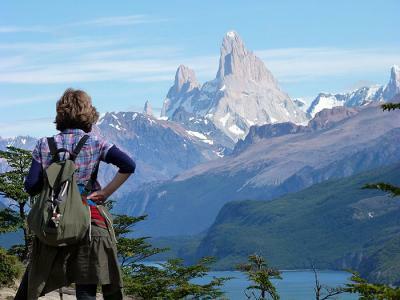 Fish, trek, climb or simply explore the picture-postcard lakeside towns and villages at the foot of the Andes. The climate ranges from sub-tropical in the north-east to cold temperate in Tierra del Fuego. The summer months of December to March are warmest in the south, although the autumn colours in late April are spectacular, particularly in the Lake District. The skiing season is from June to September. Buenos Aires can be very hot and humid in January and February, and quite cold in winter. Yellow fever, tetanus and polio advisable. If you are travelling into the Iberá or Iguazú areas a course of malaria tablets should be taken. Not required for most EU or US citizens for 60 day stays. The Peso ($). All major credit cards are accepted and ATM (hole in the wall) machines are commonplace in cities and major towns. Whilst rightly renowned for its fine beef (you will have to experience at least one asado) the Italian influence means that all tastes are catered for. Argentine wine, once a well-kept secret (in other words all drunk before it left their shores) has now founds its way into discerning cellars world-wide. The world’s highest vineyard is near Cafayate, producing a mind-popping 17% alcohol level. Private telephone offices are to be found in most towns and cities and are often the best place to go for international or local calls. Dial 00 for international and then the country code (e.g. 44 for the UK), leave off the zero of the town code. You pay when you have completed the call. International and internal calls from public phones can be made where they display a DDI (international) or DDN (national) sign but remember to buy enough tokens in Buenos Aires as they can be difficult to purchase in the regions. 220V (110V in some hotels). Traffic drives on the right, the speed limit is usually 80 km/h, and a valid UK driving licence is all that is required to drive as a tourist, provided you are at least 18. An International Licence is not strictly necessary, but there is no doubt that in remoter areas the translation and photograph do make it look a bit more official. Be particularly careful to try and avoid stones thrown up by passing vehicles on gravel roads. Good maps are published by the ACA (Automovil Club Argentino).